When I hear “Rusted Root” I immediately travel back in time to one of my favorite childhood movies. You know the one, and you know the song. While the band waited until the encore to satisfy everyone’s desire for it, the wait was well worth it. 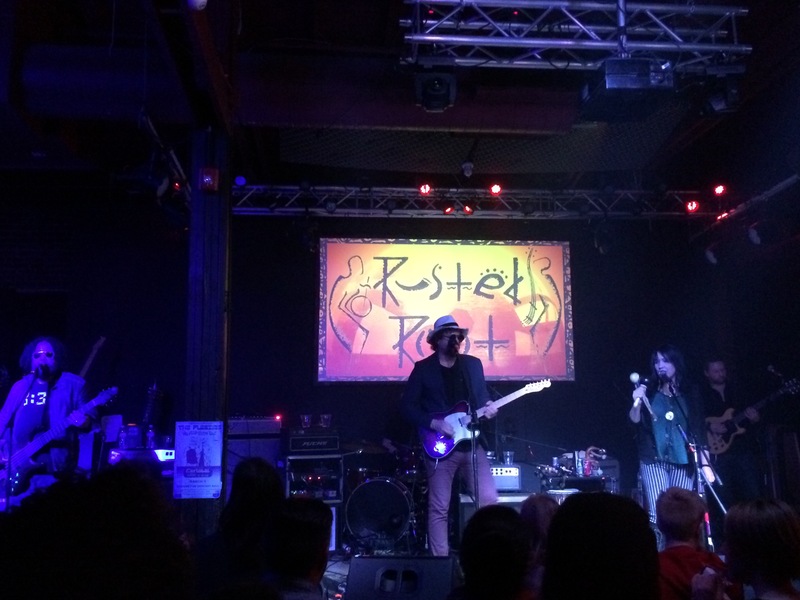 Rusted Root dished out funky rock anthems all night that kept the crowd light on their feet. More than half of the audience was fully rocking out during the show, bestowing positive vibes throughout the smoky back room at Diamond’s. Singer and multi-instrumentalist Liz Berlin was able to hypnotize the audience. Every song she pulled out a new instrument to play, all the while hitting those notes that even Aubrey struggles to whistle (and she’s a pretty damn good whistler). Bassist Patrick Norman, also a master of the high notes, jammed on the side of the stage by himself for the most part, but he was clearly enjoying playing for the crowd. Dirk Miller on electric guitar proved the perfect accompaniment to lead singer Michael Glabicki‘s acoustic artistry. For that notable number “Send Me on My Way,” band members brought on stage one of the youngest fans in the room as their newest percussionist. Lilly was exceptionally adept at playing the egg shaker – she had incredible rhythm that she kept up through the whole of her performance. The audience loudly applauded the band (including their new young protege) and gladly would have stuck around for more if they were able.